June 17, 2012 - Call it the freight debate, a segment of the aviation world is divided over whether a pilot flying a plane filled with vacationers should be subject to different rest rules than a pilot carrying a bunch of merchandise. Legislative momentum is building to apply a one-size-fits-all pilot fatigue rule to commercial pilots but it looks to be a decision likely to remain in the hands of the Federal Aviation Administration, rather than Congress. House leaders are reluctant to attach their names to efforts to overturn the so-called cargo carve-out to sweeping, new pilot fatigue rules, set to go into effect in 2014. The FAA has since indicated there are errors in its cost-benefit analysis that led to excluding cargo carriers and is taking a second look. Steve Alterman, a spokesman for the Cargo Airline Association, said when the FAA crafted the cargo carve-out, all it took into account was a cost-benefit analysis finding that “the costs so greatly outweigh the benefits by 10 or 15-to-1 that they just couldn’t justify” the rule. Alterman, whose group stands behind the carve-out, expects new information from the FAA within the month. The FAA required to offer public updates within 60 days of the review said a second look is under way but declined further comment. “We have great faith in our Senate champions but need to see how the act plays out in the Senate over the next few weeks,” Gaudet said, adding that he expects the “number of House co-sponsors to rise dramatically by the end of the month.” But the House bill is missing the key endorsements of the House’s Transportation and Infrastructure Committee’s top brass, like aviation subcommittee heads Reps.Tom Petri (R-Wis.) and Jerry Costello (D-Ill.), as well as Chairman John Mica (R-Fla.) and ranking member Nick Rahall (D-W.Va.). Mica has not yet offered a firm stance on the legislation — and Costello and Petri are content to let the FAA take the lead, for now. “He and I both discussed the bill and we have not co-sponsored the bill. And the reason that we haven’t is that we want to let it play out,” Costello told POLITICO of his analysis with Petri. The bill which pits labor interests against business doesn’t stand much of a chance of passing in a gridlocked legislature, Costello said. But he did indicate that those interested in ending the cargo carve-out might be pleased when the FAA completes its review. “They are going to take some action and those supportive of the House bill, I suspect that they will be pleased in the end,” Costello said. “I think the FAA will end up taking action before” Congress. However, at the time the cost-benefit review initially was announced, an FAA spokeswoman told POLITICO that the reason they were reviewing the analysis was because the cost piece figures were on the low side. If that still holds true, that means any potential revision would likely be in favor of the original conclusion that resulted in the carve-out. In any case, Cravaack and Bishop aren’t ceding anything to the feds, instead meeting privately last week with Transportation Secretary Ray LaHood and acting FAA Administrator Michael Huerta to talk about fatigue rules. Each side laid out the road ahead, but not in any coordinated fashion. “Cravaack and I are going to continue carrying forward with that even if the department in effect reaffirms the exclusion,” Bishop said of his legislation. Cravaack, vice chairman of the aviation subcommittee, said he was encouraged the Senate put out a sister bill and even intimated that the tenuous surface transportation conference could include his legislation, though that would be an extremely heavy lift. (Beyond the fact that the provision wasn’t included in either chamber’s transportation bills, anything related to aviation would reasonably be considered outside the scope of the conference.) Costello also threw cold water on that idea. The Minnesota freshman said he has also requested to see the FAA’s cost-benefit data that led to deciding the rules would be too onerous to cargo pilots — and hasn’t gotten his hands on it yet. Cravaack’s calls for “one level of safety” aren’t doing much to convince the Cargo Airline Association. “‘One level of safety’ is simply a sound bite, which doesn’t mean much of anything. Because all segments of the industry are slightly different and you can get to that level differently,” Alterman said, explaining that cargo pilots generally fly fewer hours than passenger pilots to begin with. At big carriers like FedEx and UPS, the pilots have access to “hotel-like” sleeping facilities, Alterman added, and smaller carriers have access to some form of rest areas, too. 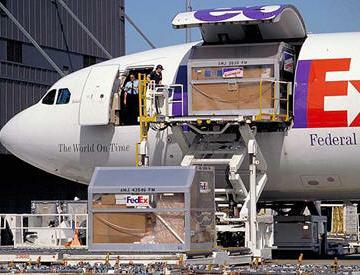 But to the UPS pilots, the carve-out is a “bad idea,” plain and simple, Gaudet said. And to continue the full-court press, which has already included a thank-you advertisement for Snowe and Boxer in Capitol Hill newspapers, the IPA is planning to swarm the Hill next Thursday with pilots meeting with 60 targeted lawmakers about ending the cargo exemption.